When is a drawing not a drawing (or a painting not a painting)? When it’s a pastel. Please join us in welcoming the Getty Museum’s new associate curator of drawings, Emily Beeny. Emily has served as an associate curator at the Norton Simon Museum and an assistant curator at the Museum of Fine Arts, Boston. Her doctoral research, at Columbia University, focused on the paintings and drawings of Nicolas Poussin in relation to seventeenth-century court ballet. —Ed. Having spent two years in the Getty’s paintings department (first as a graduate intern, then as a research assistant), I was thrilled to return to the Museum last November as associate curator of drawings. Joining the drawings department has felt like coming home and embarking on a new adventure all at once, an opportunity to approach familiar artists and artworks from a fresh perspective. I’m not the only one who’s made this journey: eighteen Getty pastels, too, by artists ranging from Rosalba Carriera and Maurice-Quentin de La Tour to Edgar Degas and Odilon Redon have recently migrated from the paintings collection to the drawings collection: I’ve really just followed their lead. As an intern, I had the opportunity to work on installations in the pastel gallery, and so I’m delighted that my first project back at the Museum allows me to return to this area of the collection. Exploring the in-between-ness of the pastel medium, the evolution in the late seventeenth and early eighteenth century of pastel “paintings” out of colored chalk drawings, the installation The Birth of Pastel will open June 6 in the Museum’s South Pavilion at the Getty Center. From a curatorial standpoint, pastels occupy an ambivalent position. Perched between line and color, between the intimate touch of the artist and the ambition of the exhibition piece, pastels really aren’t either/or but both/and. On one hand, many works in pastel—sumptuous eighteenth-century portraits, for example, or Degas’s richly elaborated scenes of dancers—were plainly conceived as paintings, meant to rival contemporary oils in their variety of color and touch, their high degree of finish, and even their scale. Many important pastellists also painted in oils, and in today’s market a highly finished pastel by an artist like Degas tends to command a price more commensurate with those of his oil paintings than those of his drawings. The earliest proper pastels—satiny, spreadable color manufactured in sticks for sale in sets of every conceivable hue—did not appear until the end of the seventeenth century. But draftsmen had been using dry colored media—both naturally occurring chalks, mined from the earth and cut into sticks, and fabricated chalks, made by mixing pigments with binders into a paste that could be rolled into batons—for centuries. Recipes for “pastelle” and “pastilles”—fabricated chalks—crop up in Renaissance artists’ treatises, recommending fish glue, fig juice, and gum arabic as binders. The Getty collection includes several remarkable examples of colored chalk drawings from sixteenth-century Italy and France. Among these are a wonderfully free composition drawing by the Venetian painter Jacopo Bassano and an exquisitely finished court portrait attributed to an artist today known as L’Anonyme Lécurieux. Both date to around 1570, but their approaches could hardly be more different. 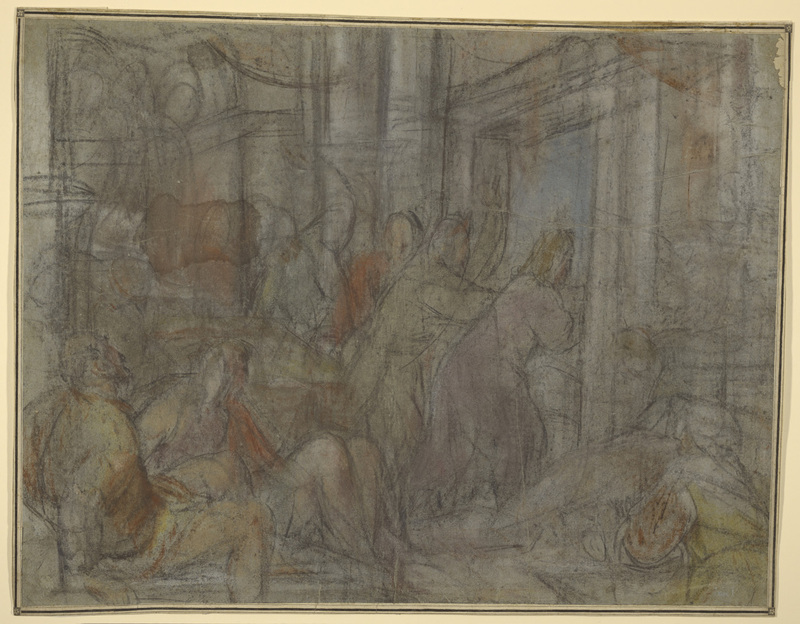 Working on blue paper (known at the time as “turchina,” or Turkish paper, and commonly used by Venetian artists of the period to establish the middle tones of a drawing), Bassano laid in his design with swift strokes of black chalk and then used white, yellow, pink, and reddish-brown to explore the distribution of color across the scene. Here colored chalk served essentially as a preparatory tool. The anonymous French draftsman, by contrast, took a carefully controlled approach. Using just black and red chalk, he created the illusion of a far broader palette, suggesting touches of brown in his sitter’s mustache, a pink flush in his cheeks, and even a clear blue-gray color for his eyes. For all the obvious differences between these two drawings, each in its way predicts the subsequent development of increasingly complex colored drawings and, eventually, pastels. 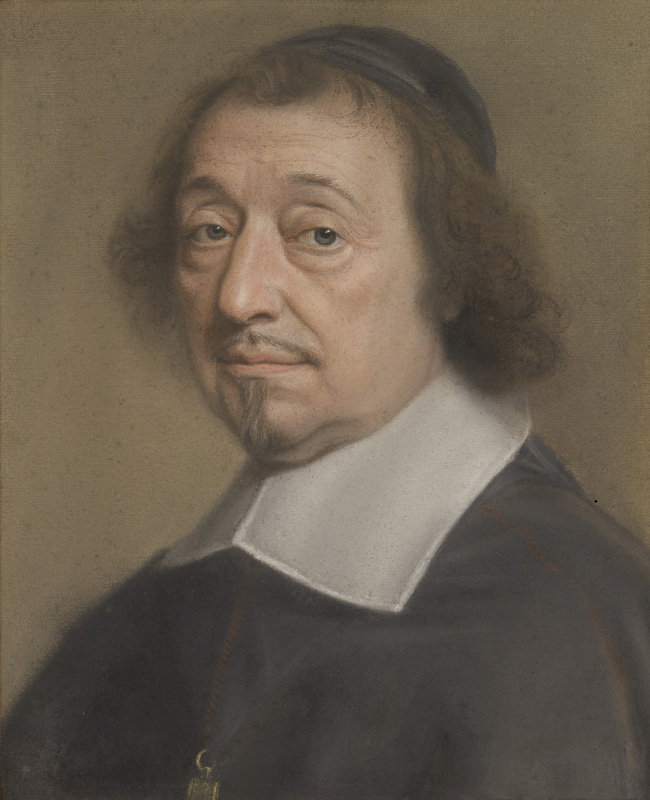 By the 1650s, we start to see a less graphic, more “painterly” approach—the beginnings of modern pastel technique—in the work of Robert Nanteuil, an artist active in Paris. 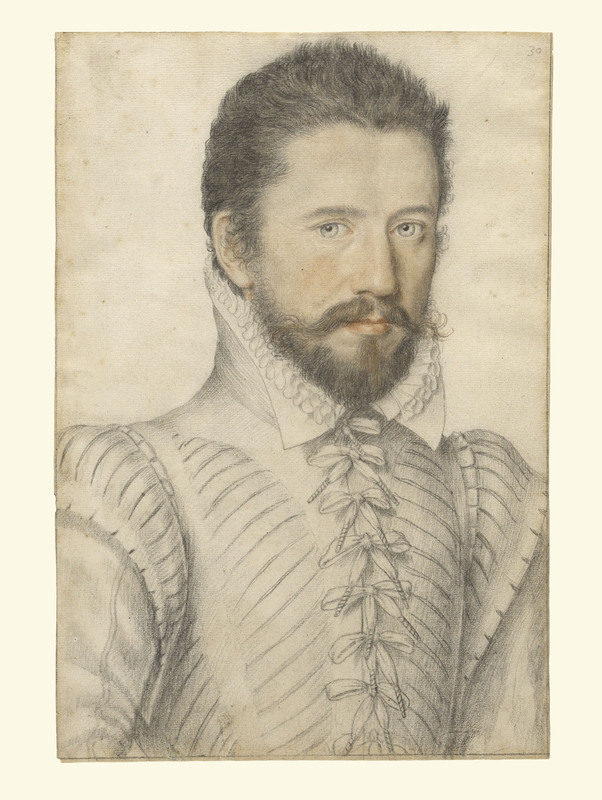 His pastel portraits often served as the basis for prints, and yet, in works like the Getty’s Portrait of Monseigneur Louis Doni d’Attichy Nanteuil applied his modest array of colors much more like oil paints, with a new richness and variety of touch, effectively conjuring the specific textures and sheens of skin, hair, and cloth. No pastels have ever been “sweeter” (or sweeter) than those of Rosalba Carriera, the Venetian artist who mastered this medium in the early eighteenth century. 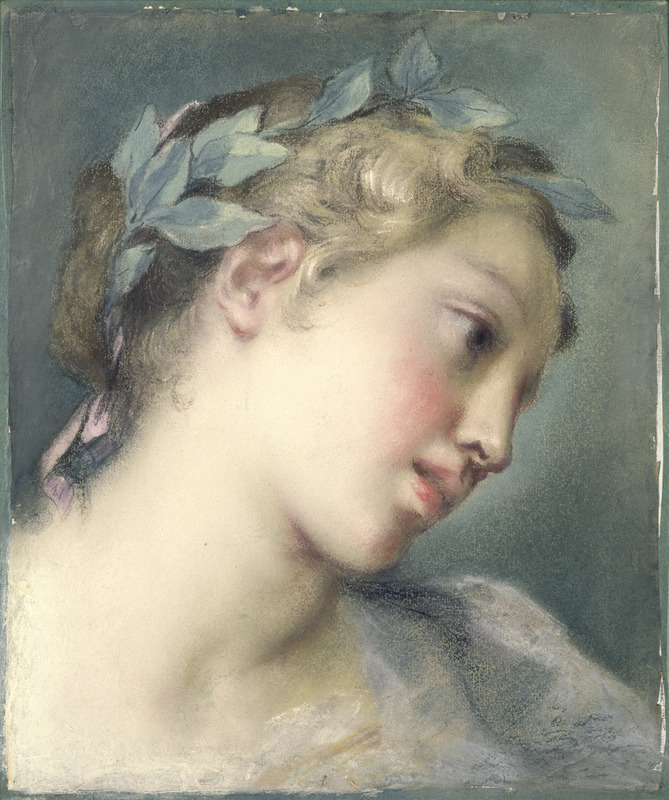 Using blue paper—like her compatriot Bassano—and commercially manufactured pastels, newly available in a wide array of colors, Carriera developed sophisticated techniques to convey the bloom in a cheek, the luster on a string of pearls, the softness of a velvet cloak. For example, she might apply a layer of wetted pastel with a brush to establish a base skin tone and then revisit the area with dry, powdery pastel to suggest the downy surface of a young girl’s cheek. Carriera’s prodigious skill and speed, her knack for the flattering likeness made her the favorite portraitist for English aristocrats visiting Venice on the Grand Tour and garnered her invitations to the courts of Paris and Vienna. Carriera’s prodigious skill and speed and her knack for the flattering likeness made her the favorite portraitist for English aristocrats visiting Venice on the Grand Tour and garnered her invitations to the courts of Paris and Vienna. In Paris, Carriera’s work enjoyed an enormous success and exerted a powerful influence on French pastellists of the subsequent generation. 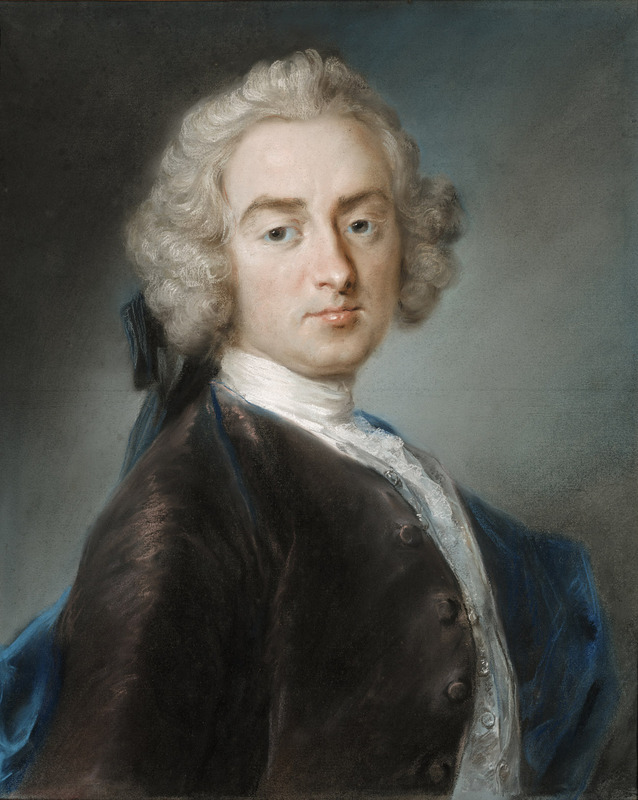 Preeminent among them was Maurice-Quentin de La Tour, whose pastels exhibit an uncanny naturalism. 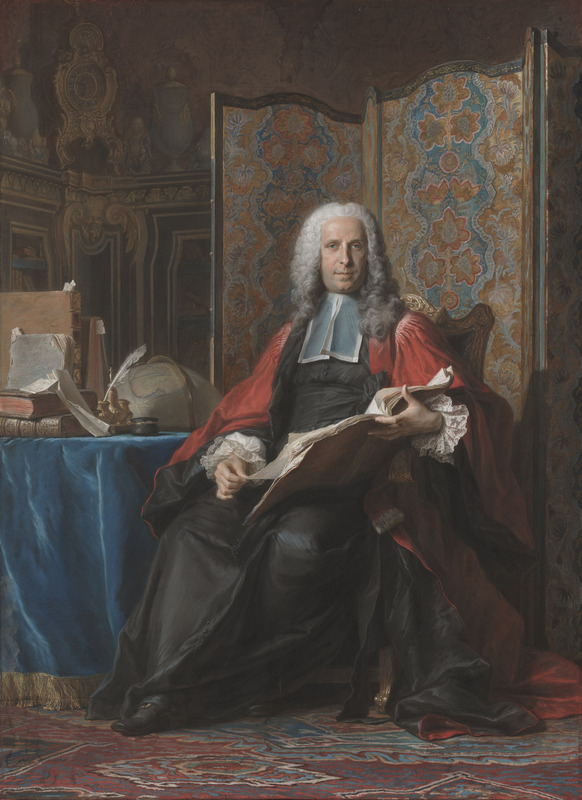 La Tour developed a wildly successful portraiture practice (numbering among his sitters Louis XV, his wife, and his mistress) while eschewing oil paints altogether. The fact that he was named peintre du roi (painter to the king) in 1750 speaks to the pointed rivalry at this moment between pastels and oil paintings, summed up in a single, spectacular work today in the Getty collection. 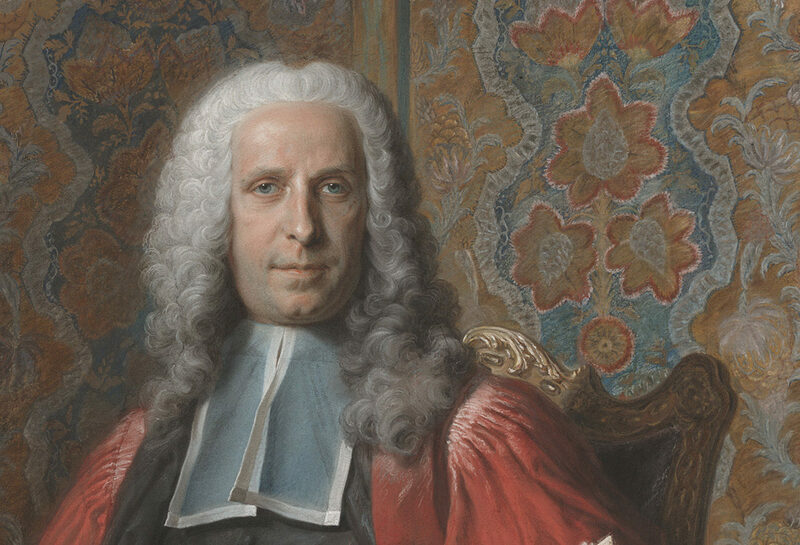 At six and a half feet tall, La Tour’s portrait of Gabriel Bernard de Rieux, a Parisian magistrate and heir to a banking fortune, is the artist’s largest pastel and probably the largest pastel produced in the eighteenth century. Pieced together from over a dozen separate sheets of paper, and worked up with a dizzying array of techniques, this picture competes with contemporary oil portraits on every front: in richness and variety of color and texture, in fineness of detail and finish, above all, of course, in size. If ever a pastel was a painting, this, surely, is it. And yet, for all its monumental power, this work is more fragile than it might at first appear, susceptible to the same threats from vibration and light as other pastels. Gabriel Bernard de Rieux has spent the past two years in the dark, patiently awaiting his turn on the wall in the pastel gallery. I can’t wait to see him back on view this summer, marking the triumph of painting in pastels. I’m associate curator of drawings at the J. Paul Getty Museum. Before recently returning to the Getty, where I was previously curatorial assistant in the Department of Paintings, I was associate curator at the Norton Simon Museum and assistant curator at the Museum of Fine Arts, Boston. Welcome home Emily! We’re glad to have you. This is a terrific article on the origin of pastels. I believe the first pastel to enter the Getty collection was the Jean-Étienne Liotard in 1983. 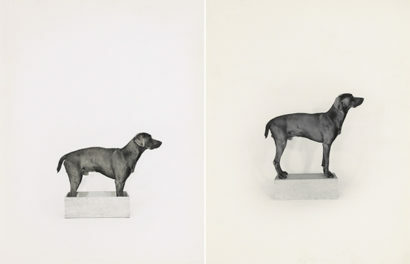 The article of ‘BOTH/AND’ presents logical reasons why pastels have been ‘moved’ to drawings. But I wonder why it 35 years to make this change. Emily’s review is very informative on technique. But why was Lyotard not included in the analysis of technique? The birth of pastel actually occurs in Leonardo da Vinci s studio!see study by Christina Geddo!! Our portrait of La Bella Principessa is a sort of pre pastel 3 crayon work. 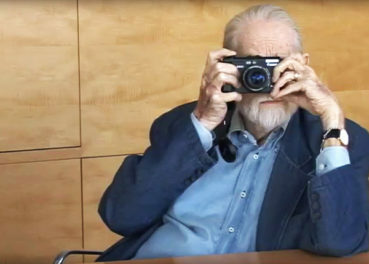 Excellent blog – looking forward to the exhibit. A very interesting and informative article. I am looking forward to this exhibition and further exhibitions curated by you. welcome back to the Getty. I’ll miss you at the Norton Simon. What difference does it make whether pastels are drawing or painting? As long as a piece is of artistic value, then enjoy! Yes, pastels are somewhat more light sensitive than other media…. But when properly kept, they last for ages…. As in, all those wonder Monets? If they were so non-lightfast, how is it that they are still here? Also, modern papers, the Uart line of sanded papers, are so toothy, that one doesn’t even have to apply fixative. Whether one is talking about oils, acrylics, pastels or watercolor, if a painting is of any value to you at all, then take steps to preserve the painting. Most don’t do well in bright sunlight. First of all, pastels are NOT ” a colored chalk” but a mixture of pure pigment (the same used in oils) and a binder, usually gum arabic. As the pigments are pure, they are light fast and, since they do not content resins and they are never varnished they do not get dark as oil does. The medium is not fragile by itself but by its support (usually paper). “Most pastels, in essence, are colored dust on a page” is not a good compliment for us pastelists, who have work very hard to learn to use this difficult medium. Perhaps “most oils, in essence, are colored oil spread on a canvas” would be a good definition of oil painting? The Metropolitan Museum does not consider pastel artworks as “drawings” but as “pastels”, which sounds as a more accurate definition than drawing, which is a tracing. Hope you good luck in your new job. Susana, Marie, I had identical thoughts. I’ve worked most of my life fighting against calling Pastels “chalks” they are the exact same pigment used in oil colors but with much LESS binder. Im sick of being told that Pastels are not paintings but drawings and therefore somehow a diminished form of art. Very upset by this article, especially coming from a curator at a prestigious museum. Thank you very much for taking the time to read and comment on this post—I’m delighted to receive feedback, including critical feedback, from artists who are actively working in pastel. My Getty colleagues and I have the highest opinion of pastels and pastel artists. In no way do we think of pastel as a medium inferior to oil paint (or to any other medium, for that matter). Nor do we consider drawings inferior to paintings! I’m a curator in the museum’s Department of Drawings, which is staffed by art historians devoted to the study of drawings of all kinds. Our collection includes masterpieces executed in ink, chalk, graphite, watercolor, as well, of course, as pastel. My choice of words in this post was intended to capture the physical properties of the medium for readers less familiar with it. I’m sorry for any offense caused by what was meant as a spirited evocation and celebration of pastels and their history. Thank you again for your comments; I hope you have the opportunity to spend time in person with our pastel treasures. This is an extremely damaging article regarding pastel, and a position that will leave many of us pastel artists defending our medium and the value of our work to our collectors. I find it ironic that you call pastel “colored dust” “quite susceptible to fading”, yet the Getty possesses a collection worth billions of dollars, and “The Scream”, the fourth version (pastel, 1895) was sold for $119,922,600 at Sotheby’s Impressionist and Modern Art auction on 2 May 2012 to financier Leon Black. Perhaps you need to do more research on the current supports being used by pastellists, the strength of the medium itself, and its durability when preserved under archival framing standards. I agree that this is damaging to pastelists. The medium as well as the papers have come a long way from its first inception. Steps have been taken to insure its Longevity. As a pastelist I have been educating people about the medium and have had many long discussions with oil painting collectors. While I paint in oils as well I feel that if a collector falls in love with a painting be it pastel or oils they should follow their heart and by it. How absolutely fabulous! This is a medium not given the credit it is due. Thank you. This is an excellent article, full of brilliantly rendered observations (like a great pastel). I admire artists today who work in pastel. It is a tricky medium, one that takes lots of care to become an expert, but the results — as the Getty’s exhibition showed — can be extraordinary. I fear that the pastel artists who condemned in their comments the points by Dr. Beeny describing pastel’s fragility are missing the point. Of course pastels are fragile! They, like any works on paper, can be lght sensitive. Older ones can shed pigments with too much vibration (or even static electricity). The surface is very delicate; to run your fingers over the surface could deface it permanently. A marble sculpture or even an oil painting are generally impervious to such handling. Rather than fret that this article has maligned the medium, please understand that the inherent delicacy is yet another aspect of what makes pastels so wonderful. Those in the know get that a pastel is something magical in part because it is so refined and requires careful handling, almost like a butterfly. Still an unflattering to call them colored dust. A poor choice of words. A comment that will be misunderstood by much of the public snd in their mind cast a negative light on Pastels. When I first worked with them it was like dust as the photo illustrates, and efforts were a field of greying blue, but I had preshaped the study and so it worked. I particularly liked the statement on dust. It told me Emily Beeny knows her stuff. Hello Emily: I did enjoy your article about pastels, but as an artist who has worked with pastels for over 20 years, I find several of your comments misleading or incorrect. I realize that many people (not pastel artists) are confused about pastels – which we artists refer to as soft pastels. I recently gave a 40 minutes presentation to an art club in Palm Desert, California, explaining the difference between soft pastel and chalk (because most people don’t know the difference and refer to pastel as chalk) and talked about kinds of paper, necessity of framing, etc., etc. First, soft pastel is a mixture of a pure earth pigment with a minimal binder – usually gum arabic. Soft pastel is lightfast and permanent, but does require framing because the pastel paper used can be very thin and flexible. Chalk on the other hand is made of gypsum or limestone and has no pigment. The color used in chalk is a dye. Chalk is not lightfast nor permanent. Also, you refer to pastel as colored dust. Actually, it is pure the pure pigment that is being swiped across the paper – and it is the grit (tooth) of the paper that grabs the pastel. I assure you it is a difficult medium and requires drawing skill and the ability to manipulate the pastel in various ways to produce the image you want; however, most pastelists refer to their finished product as a painting. Also, one additional point. If liquid is used with pastel, it is necessary to have paper where the tooth is not dissolved by the liquid – or the pastel will not adhere to the paper. There are papers produced today where the tooth remains if liquid is applied, and in most instances, the liquid is usually applied directly to the paper and then once it has dried, the pastel is applied. Pastels are not more light sensitive than oil – a common misconception of museum curators. They are made from the same pigments as oil – just a different binder. As a pastel artist, I’m amazed at the number of oils that require restoration. Pastels may need reframing ( but not restoration) due to dust falling ang collecting at the bottom of the painting. I have been a pastel artist for more than 50 years , pastels are pure pigment not chalk and I’ve had paintings hanging in, my sunroom for more than 30 years , I have seen no deterioration in colour . I think they are more permanent than oils and watercolours . 1. I don’t imagine a 350 year old pastel has lain horizontally in a darkened drawer for all that time. 2. Is there an article out there on the technology of plate glass? I think “Portrait of Gabriel Bernard de Rieux” would not be in its pristine condition without a sheet of glass measuring 5 feet by almost 7 feet. If not, I would love to see someone research it.